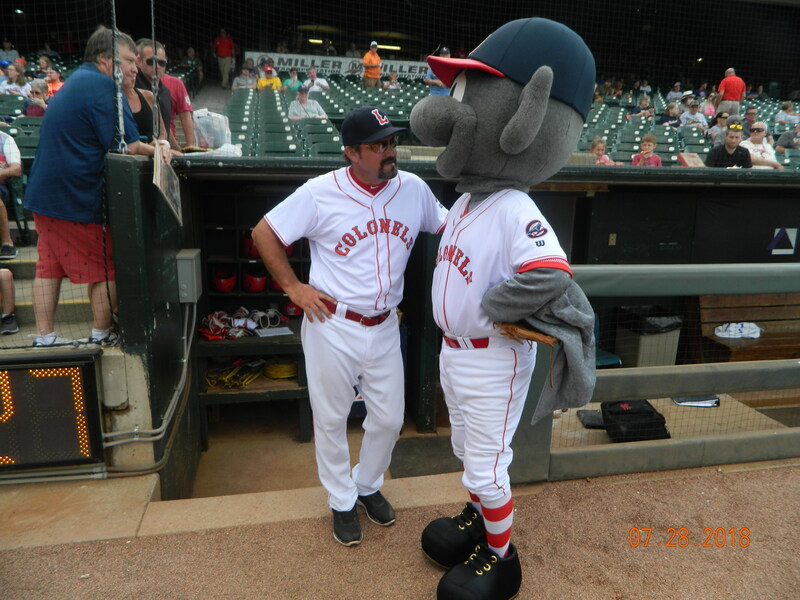 Seeing Corky Miller in a Louisville uniform at Slugger Field isnÃ¢â‚¬â„¢t unusual. After all, the former Reds catcher is the de facto Ã¢â‚¬Å“Mayor of Louisville,Ã¢â‚¬Â as Sean Casey is in Cincinnati. But on Saturday night a couple of weeks ago, it was a special evening for Louisville baseball fans. 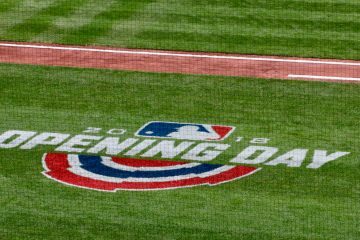 Two numbers were retired in a pregame ceremony at Slugger Field — one was worn by Jackie Robinson and the other by Louisville native Pee Wee Reese. CorkyÃ¢â‚¬â„¢s #8 has already been retired by the Bats and will now be joined by 42 and 2. As most of our readers already know, Reese and Robinson were teammates and the double-play combination for the powerful Brooklyn Dodger teams of the 1950s. Reese was the Captain for the Dodgers and his acceptance, friendship, and support of Robinson as the first black baseball player in the major leagues was an important ingredient in the success of the Dodgers. Ã¢â‚¬Å“To Pee Wee, Jackie was a man, a friend, and a teammate,Ã¢â‚¬Â said Reese Dudgeon, grandson of Pee Wee. Ã¢â‚¬Å“Pee Wee never made Jackie anything special. He was just being a team captain. If you watched the movie ’42,’ there’s a scene in which Reese supports Robinson on the field during some vicious heckling. A statue depicting that is in Brooklyn. But there’s still a debate whether that actually happened. Some say it occurred at Crosley Field in May 1947. Duke Snider was quoted as stating it happened in Boston. It was a special night. There’s a statue of Pee Wee Reese at the main entrance of Slugger Field in Louisville. I always use Pee Wee Reese as a benchmark for why Dave Concepcion should be in the Hall of Fame. Their statistics are similar and their play at a vital position to a true powerhouse team of their respective era cannot be debated. Pee Wee was the ultimate Dodger; he bled Dodger blue. For Louisville to honor him is classy. By the same token, Dave Concepcion had the same importance to the Big Red Machine and the Cincinnati Reds. It’s a shame Hall of Fame voters never got that. [Recap] Disco is back! 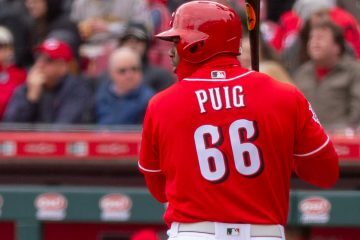 Reds return to GABP and shut out the D’backs. Absolutely correct. It is ashamed Conception is not in the Hall of fame. I’ve always rooted for Concepcion to make the Hall, too. But truthfully, he is a very marginal candidate, and using Reese for comparison probably does not help make his case. Reese had a career WAR of 66 while Concepcion’s was 40. And Reese missed his age 24, 25 and 26 seasons to fight in WWII. (He was about a 6 WAR per year player at the time.) Not to mention the role he played in Robinson’s historic breakthrough. Davy was a fine player and a favorite from my childhood. But Pee Wee Reese’s career is what a HOF shortstop career really looks like. Sounds like a cool event in Louisville. Thanks for the story, John. I enjoyed it. Damn right,Concepcion was the best i’ve ever seen and deserves to be in the HOF. The defense,the one hoppers to first,the clutch hits, the field general of the infield. Ask anybody that played with him or against him and i bet they would say he belongs in the Hall. I love these pieces John. Thanks for the time and effort you put into writing them.